The offered painting clearly displays the characteristics of Raggi's hand. 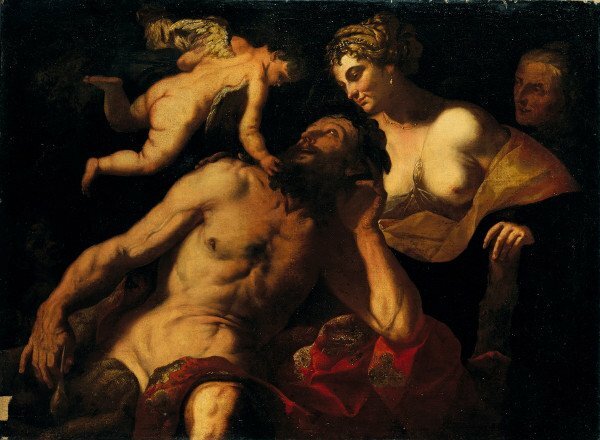 He was a painter with an impressive ability to draw upon different artistic trends, brilliantly combining the sombre naturalism of Gioacchino Assereto, Orazio De Ferrari and Giovambattista Langetti with the elegance of Valerio Castello and the magnificent and theatrical qualities of the main protagonists of Genoese Baroque, Gregorio De Ferrari, Domenico Piola and Bartolomeo Guidobono. The attribution to Raggi is further underpinned through the strong similarities with particular compositions such as The Ecstasy of Saint Bonaventura in the church of SS. Annunziata del Vastato in Genoa and the pair of large canvases depicting Agamemnon sacrificing Iphigenia and Rebecca and Eliezer at the Fountain (both in a private collection).